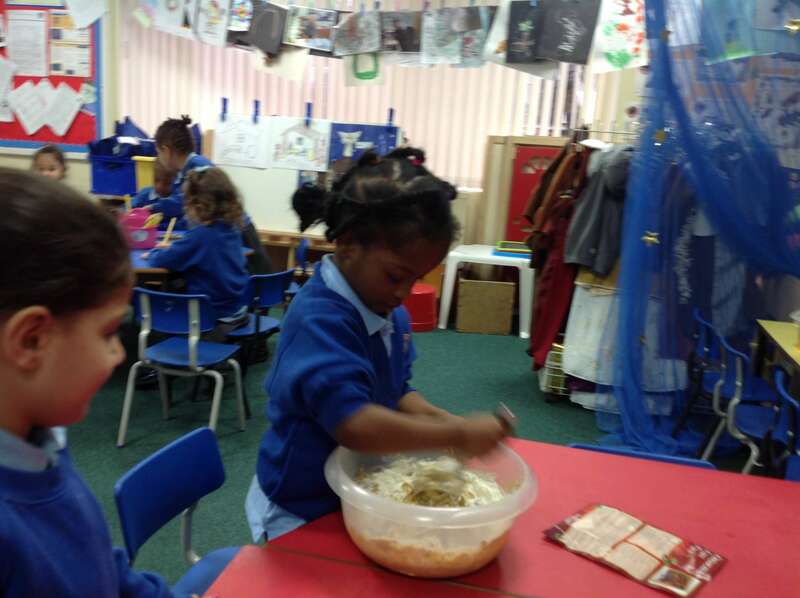 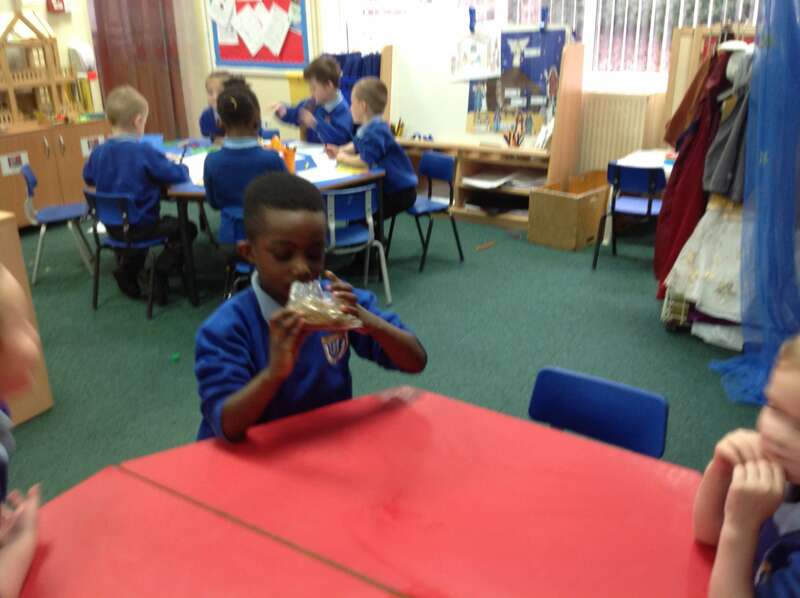 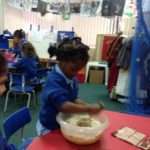 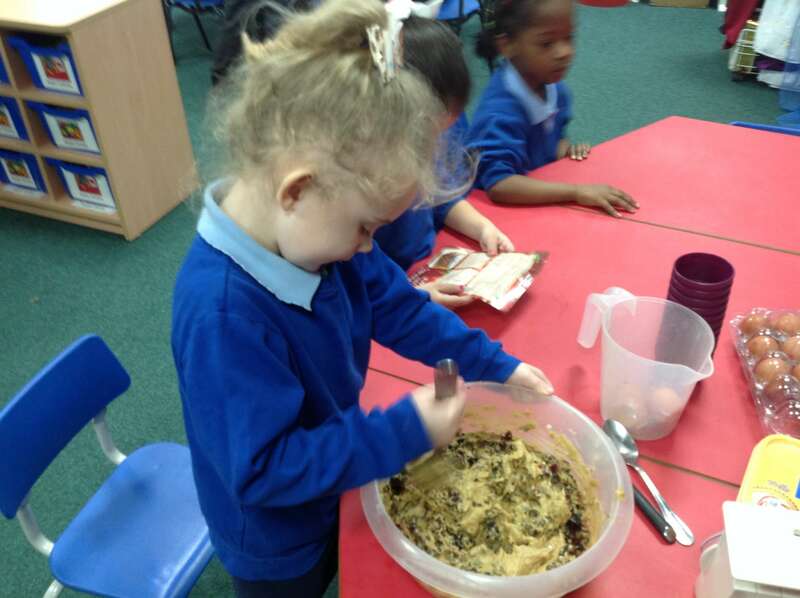 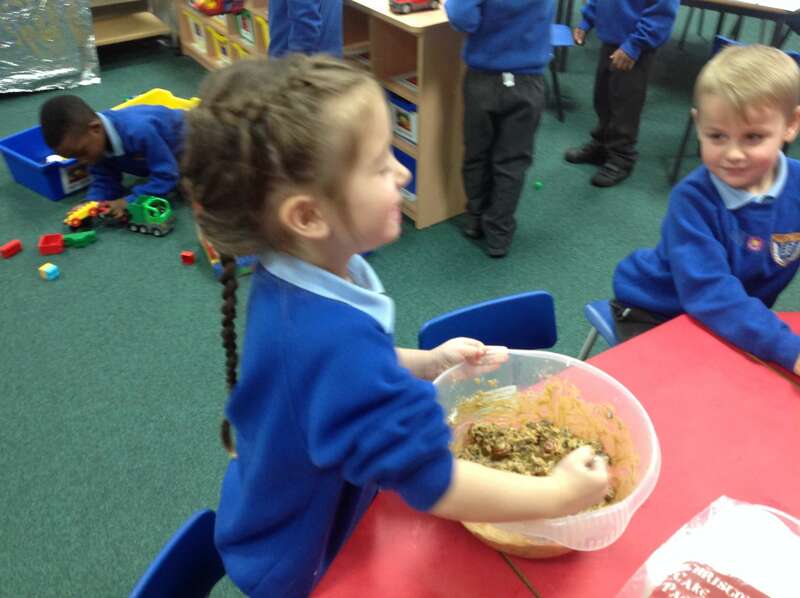 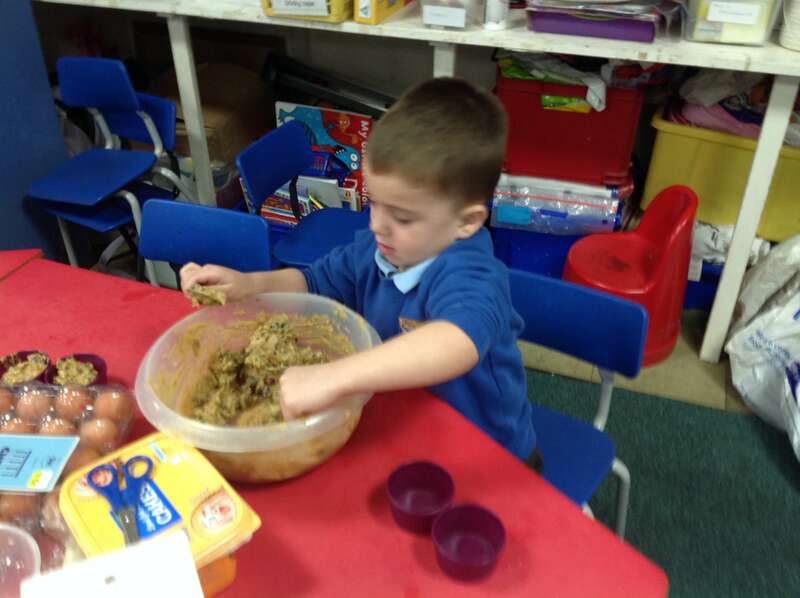 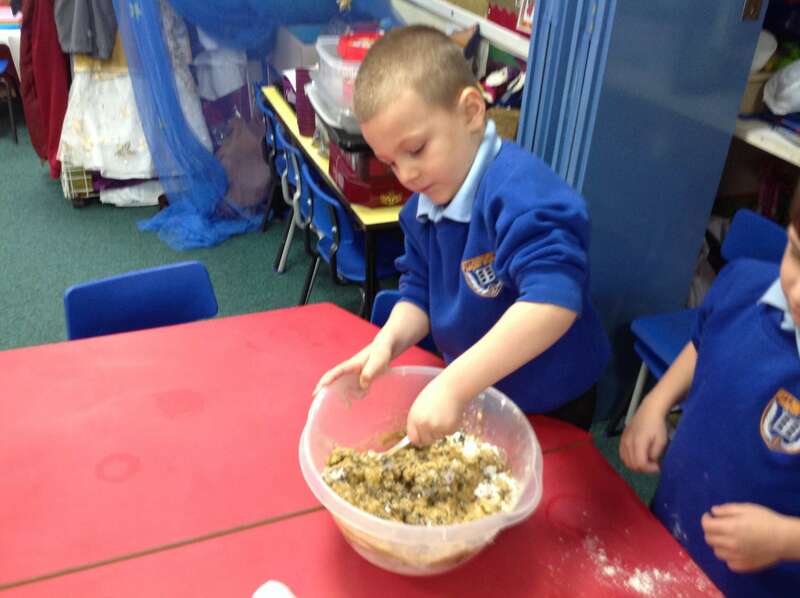 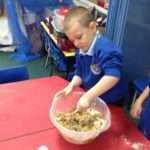 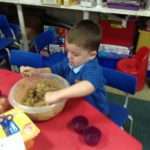 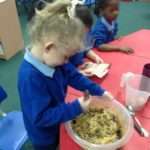 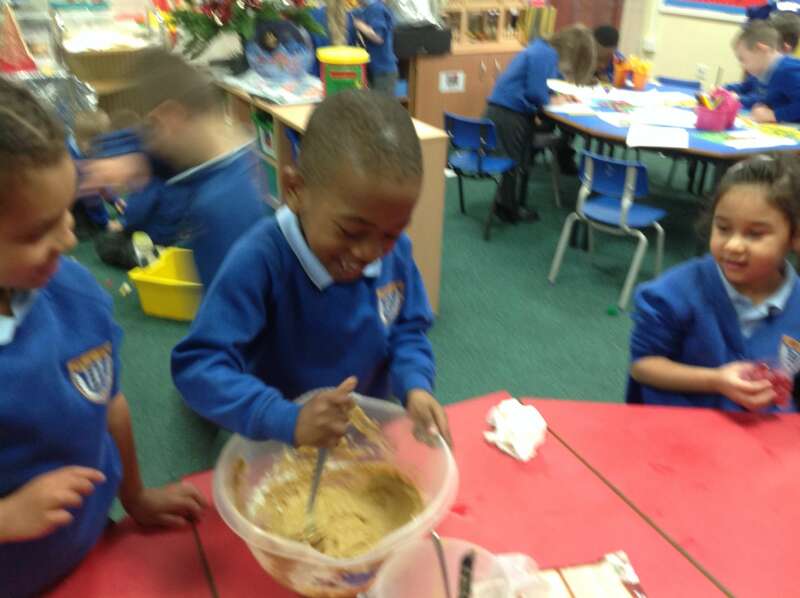 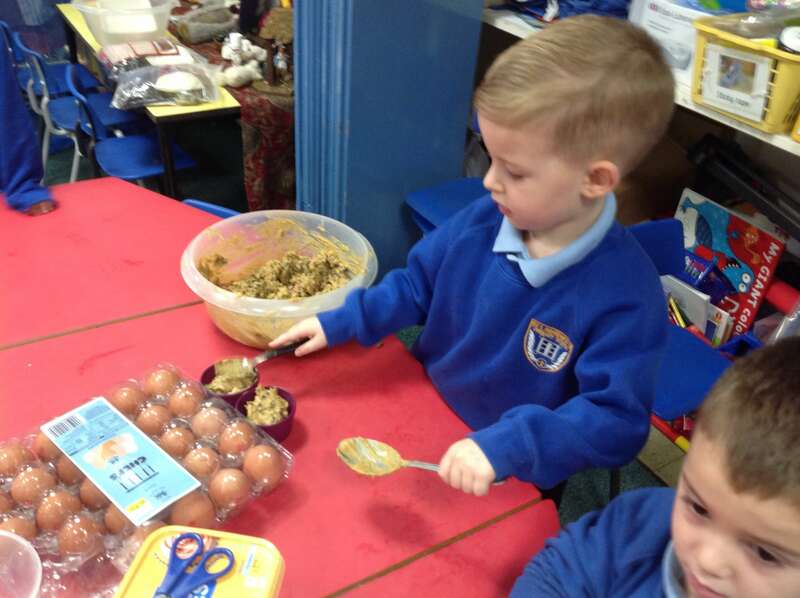 The Reception children are getting into the Christmas spirit by making Christmas cakes. 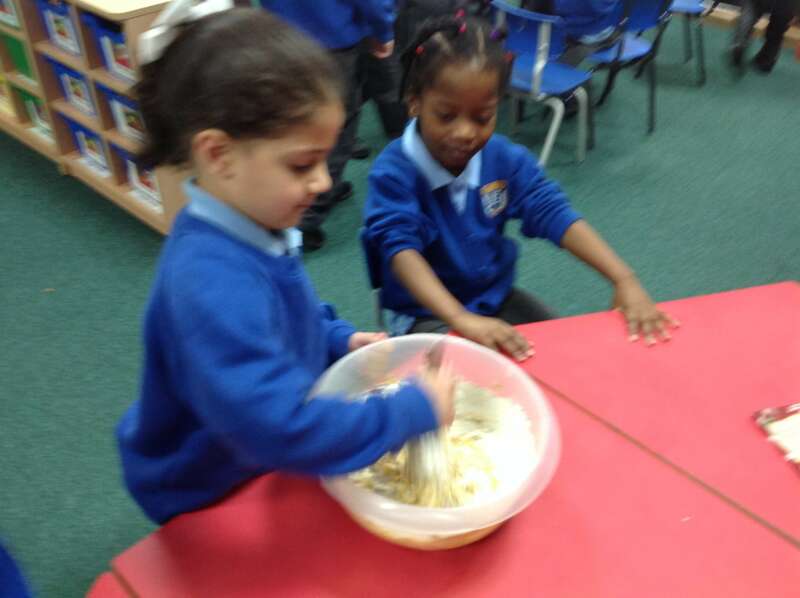 They were fascinated by watching the scales move as we added ingredients to the mixture. 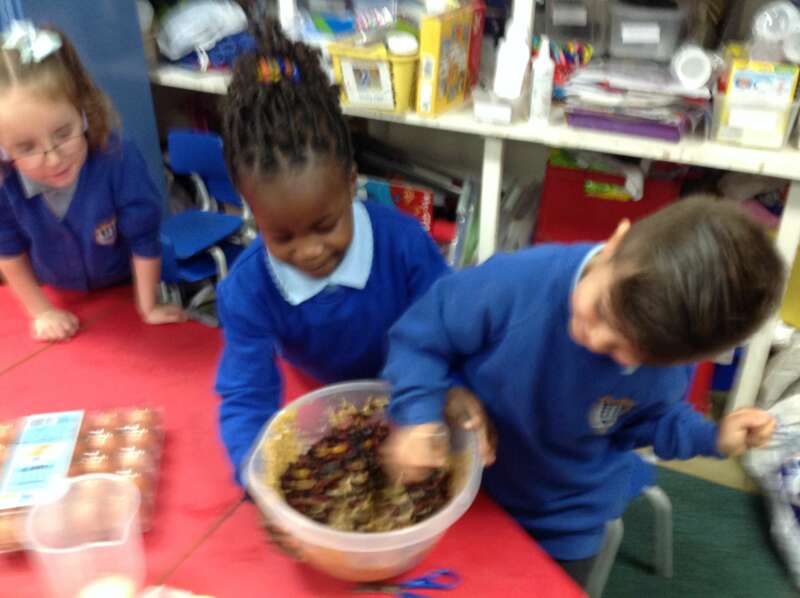 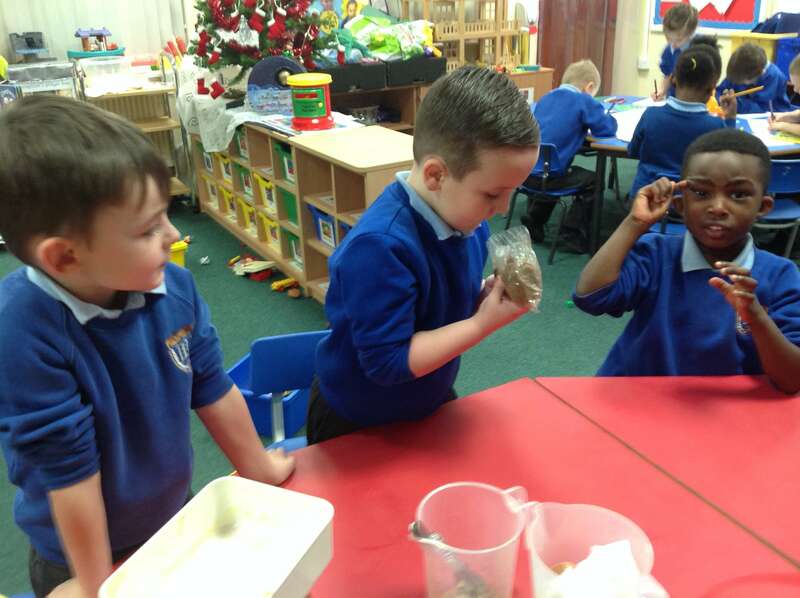 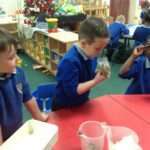 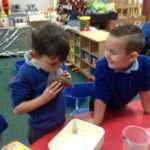 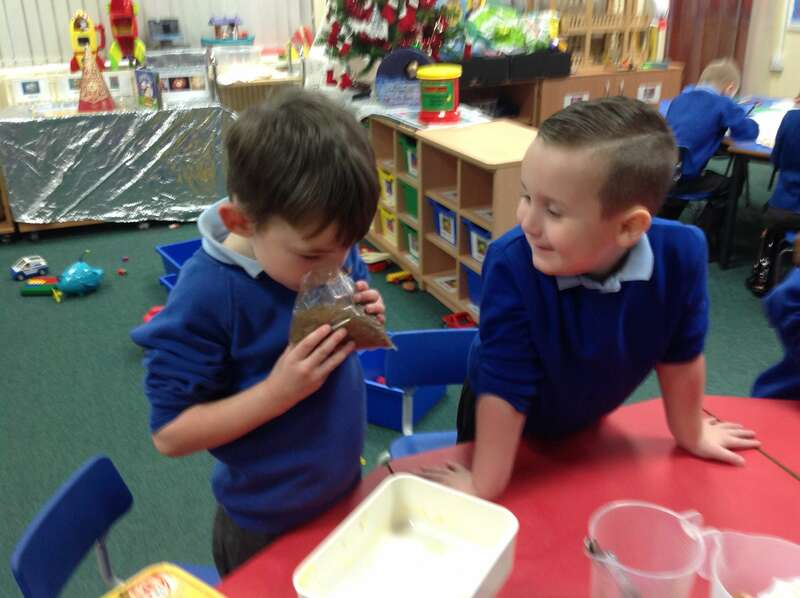 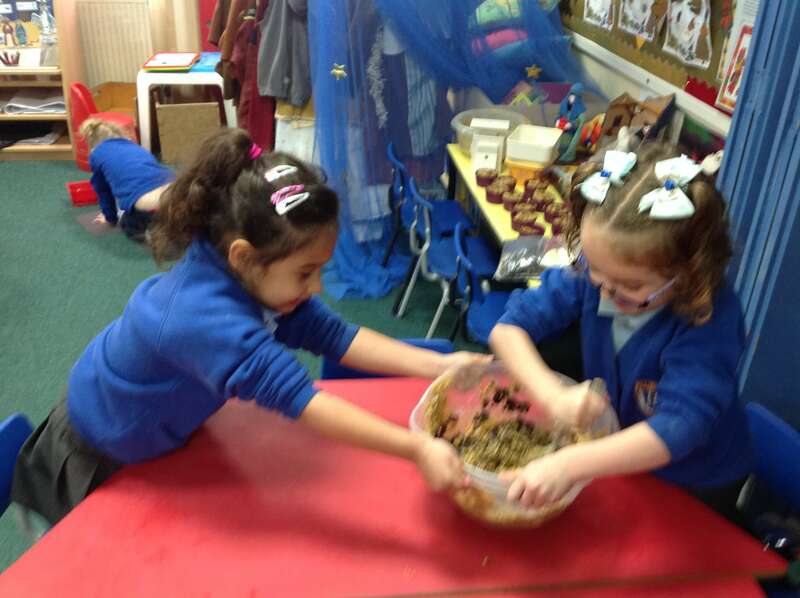 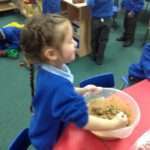 They enjoyed looking at and smelling some of the less familiar ingredients like the cherries, peel and Christmas spices. 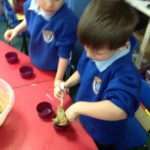 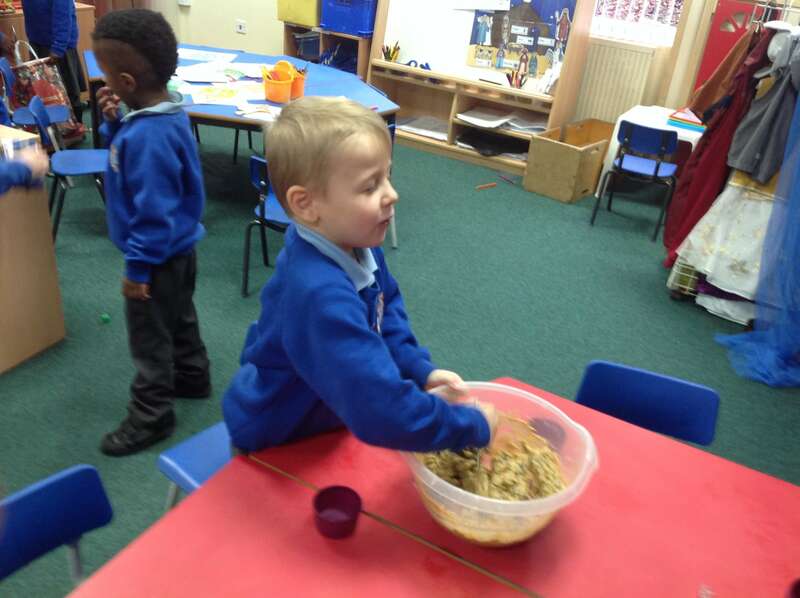 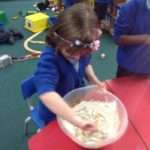 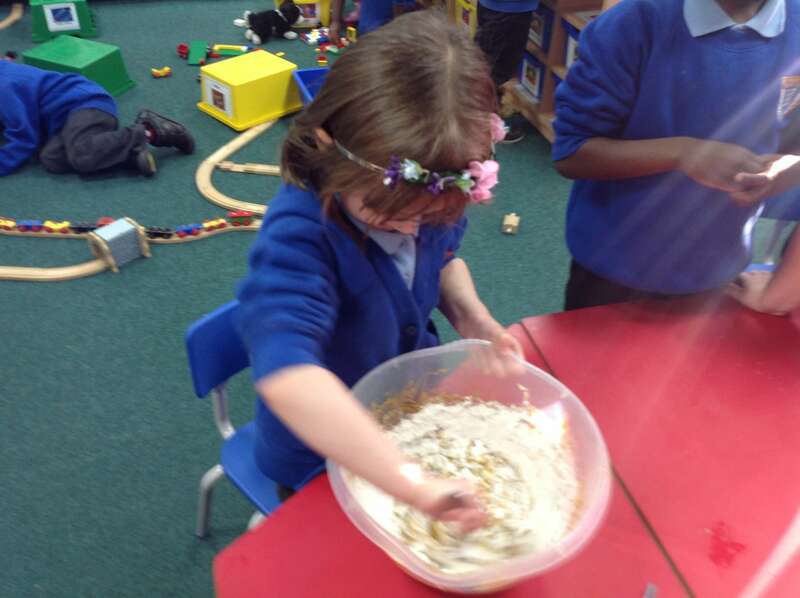 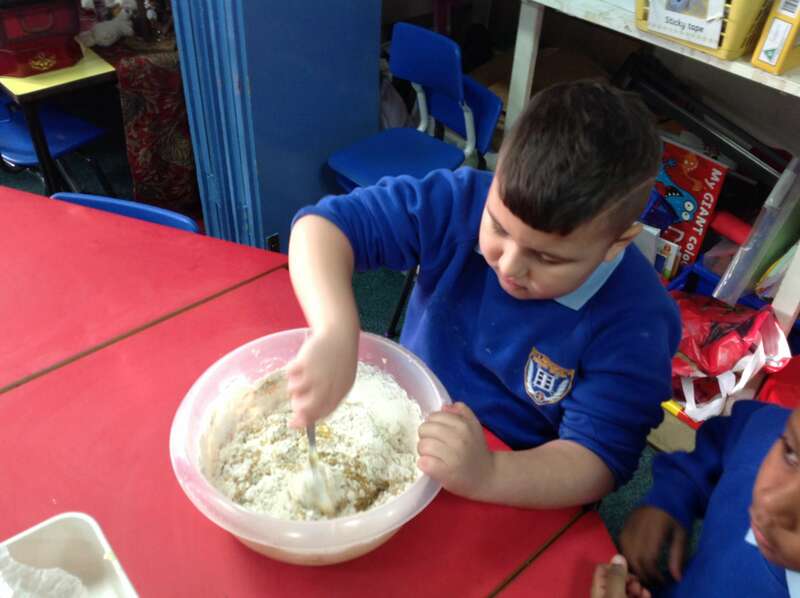 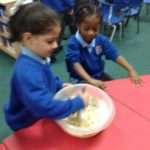 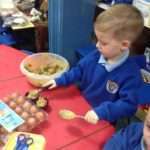 They each had a turn to mix and add ingredients – by the time all the ingredients were added it required muscle power to mix it all in – team work was required at times as one person held the bowl and the other mixed! 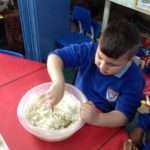 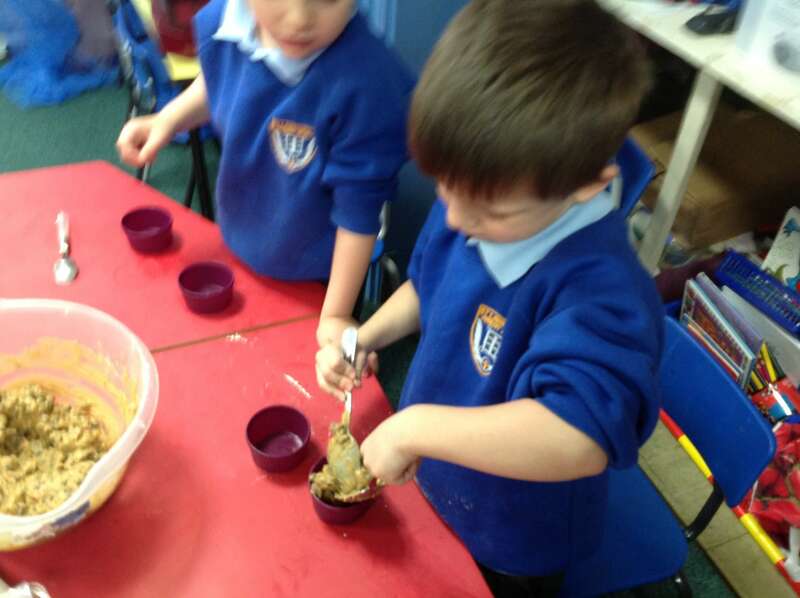 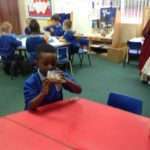 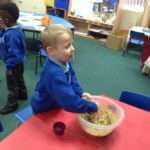 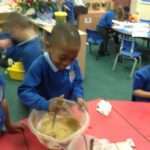 The children put the mixture into individual cases before they were cooked. 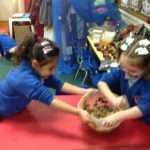 We will ice them in time to sell at the Christmas Fair on Friday. 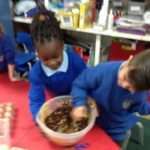 Look out for them at the Fair as they make a great present for a friend or relative.